Once again, Olympia School District middle schools, will have Varsity Robotics teams entered in the international FIRST LEGO League (FLL) Competition. Last season, 3 teams from OSD went to the Western Washington State Championships. At the State Championships, one OSD team from team from Jefferson Middle School had an award winning performance. 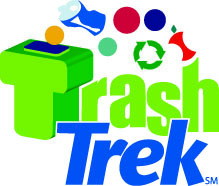 This year’s challenge, Trash Trek, has students focus on how we gather knowledge and skills in the 21st century. Students will design, build and program a robot to complete as many missions as possible in 150 seconds. Additionally, they will research one particular aspect of the hidden (or not so hidden) world of trash, from collection and sorting to smart production and reuse. They will also need to demonstrate the FLL Core Values throughout all their work. Please consider becoming a STEM Pal by supporting our FLL program with a tax-deductible donation by clicking on the link below.